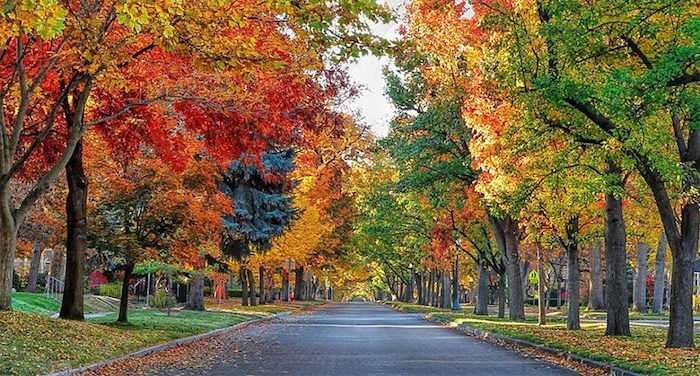 The North End neighborhood is one of the most pleasant for running in Boise, and is a good variation from the greenbelt or the trail running north of town. There are beautiful, tree-lined streets with stately homes and wide sidewalks. Hyde Park, located on 13th St., is a good locus point, where there are also some fun commercial spots. The area is north of State St. and south of Hill Rd., bound by the Capitol to the east and 28th St. to the west. 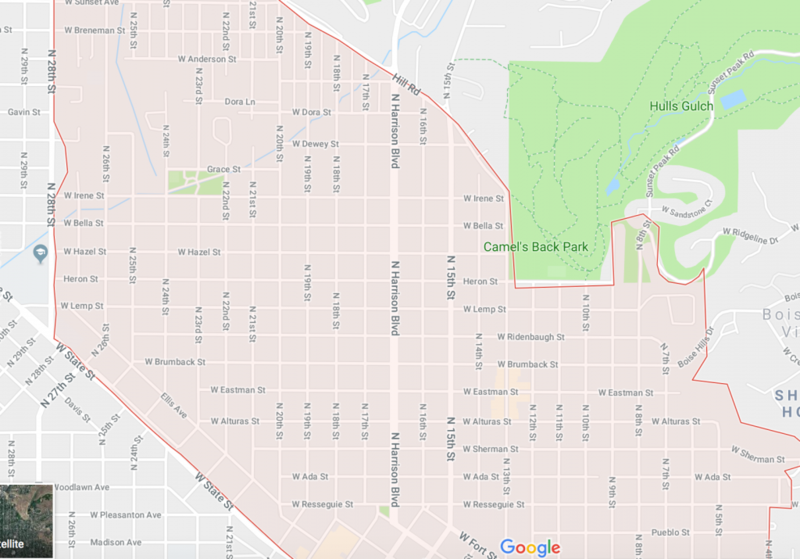 Harrison Ave. is the anchor street, with the gracious homes, lampstands, and center park strip characteristic of well-planned older neighborhoods. It’s best to design your own route here: It is about 1 mile east-west or north-south. For additional information on the area, click here. Add-Ons: Head east to the Warm Springs area (see route). Or, dip into the trails Camel’s Back Park/Preserve or Hillside Hollow, just to the north, or the Greenbelt Trail 1/2 mile south.